In a small bowl, thoroughly blend together all ingredients with a fork or whisk. Mix until ingredients are well combined and sauce is smooth. Cover and refrigerate overnight to allow flavors to blend (this step is important). Bring to room temperature before serving. They call this white sauce “yum-yum sauce” for a reason! It’s a staple at Japanese steakhouse restaurants and some Mongolian BBQ joints, and it pairs well with just about any Asian or Asian-inspired cuisine. You can whisk all the ingredients together in just a few minutes, but the secret to this particular sauce is to let the flavors meld in the refrigerator overnight. One taste, and you’ll agree this yum-yum sauce lives up to its name. Can’t wait 8 hours? 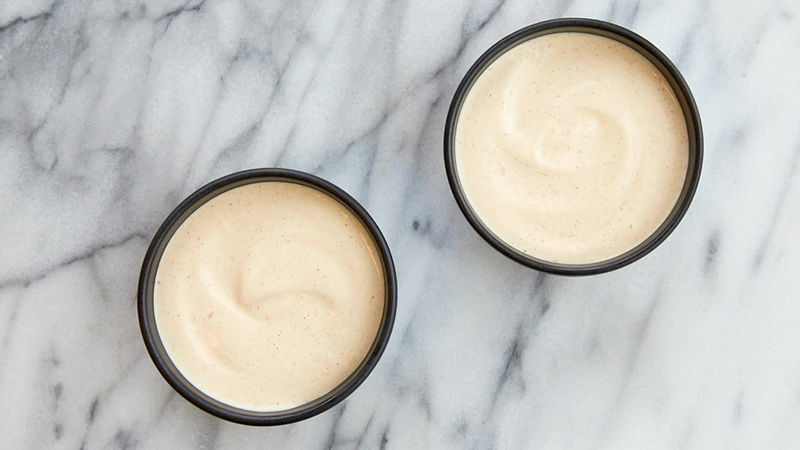 Try one of our 5-minute blender sauces instead.